Born and raised in Jamaica, Brandon Ryan Campbell knew from a young age that he needed to express himself through the arts. Learning to play the trumpet and saxophone in elementary came naturally to him and he reveled in stage performances throughout his school years. Brandon cites Spragga Benz, Bounty Killer, Super Cat, Ninja Man, Shabba Ranks, Tenor Saw, Nicodemus and Bob Marley as some of his musical inspirations and from each of them understood the importance of a message through music, whether political, love or just making one dance to feed the soul. Although music was in his blood, it wasn’t until his move to Toronto, Canada that Brandon took his God given talent more seriously and launched his fast rising career. Now residing in Canada and taking the stage name of Touchless, he spends countless hours writing music, honing his craft and performing throughout Canada. 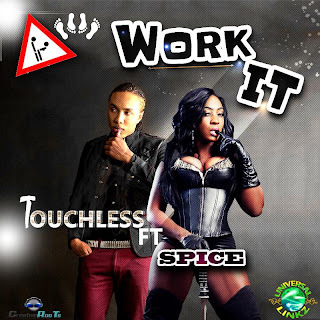 Touchless knew and understood that he needed the stamp of approval of his native land, after all the music within him was cultivated in the birth place of dancehall and reggae… Jamaica! Touchless did a promotional tour throughout the island, performing on various stage shows and interviews on several radio stations, re introducing himself to music lovers. As his life motto states “Success is a journey not a destination”, Touchless understands that the satisfaction and rewards he reaps from music must be shared, and that is why he dreams of building a center/home for the homeless children in Jamaican who are living on the streets. “I don’t want to take from music, I want to give through music” he states.